The Immunology Methylation Panel measures methylation levels of CpG sites at multiple regions in the genome important for the function of the immune system. We achieve this by bisulfite modification and multiplex PCR followed by Next Generation Sequencing. The assays in this panel are pre-validated to ensure no preferential amplification for either methylated or unmethylated DNA, providing the quantitation of DNA methylation at base pair resolution. Choose from our carefully designed panel of 16 genes, and choose some of your own targets. We will design and validate any additional assays you choose to add to the panel. Panel Summary: Download our full list of NGS methylation assays offered in the Immunology Methylation Panel. Interleukins are a large group of small signaling peptides, or cytokines, involved in the function of white blood cells. Proinflammatory cytokines are small peptides that promote inflammation in the innate immune response. Cell surface proteins often help the immune system to distinguish “self” from “non-self” in addition to acting as receptors. Chemokines are cytokines that induce chemotaxis, or movement of cells in response to a chemical stimulus. The tumor necrosis factor superfamily of proteins are cytokines initially observed to cause apoptosis. Matrixins are enzymes that break down extracellular matrix proteins such as collagen. 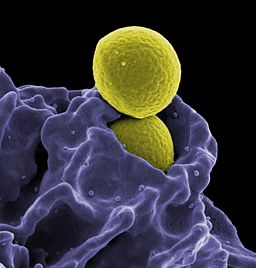 There are many genes related to regulatory T-cell (Treg) differentiation and function. See EpigenDx’s FOXP3 Methylation Panel for more details. Can’t find your gene of interest? Contact us! EpigenDx has over seven thousand individually pre-validated assays, most of which have not yet been posted on this website. Please let us know if you cannot find what you are looking for. Sequencing data in a FASTQ file.